Meth, the extrovert of Wu-Tang, in Harrisburg. Photo by Leon Laing. 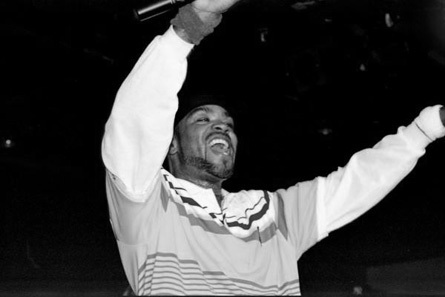 Rap collective Wu-Tang Clan may represent New York City, but Method Man has rocked the mic in Harrisburg before. On Feb. 26, Meth returns to Central Pa. with his smoking partner collaborator Redman to set the stage ablaze at Chameleon Club in Lancaster. See below for more upcoming events. Feb 3: Blackston the Great. 9 p.m., Egypt in Harrisburg. Web: www.myspace.com/bigblackston. Feb 26: Method Man & Redman. 8 p.m., Chameleon Club in Lancaster. Phone: 717. 393.7133. April 3: Bone Thugs-n-Harmony. 8 p.m., Chameleon Club in Lancaster. Phone: 717. 393.7133. Feb 1: Submissions are due for the Lancaster Launch Music Conference 2010. Visit www.launchmusicconference.com to submit.